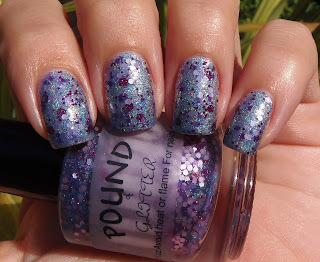 A long time ago I asked the creator of Pound Of Glitter if she would be so kind to make me a custom holographic that would resemble Catrice Dirty Berry, but with a stronger holographic effect. 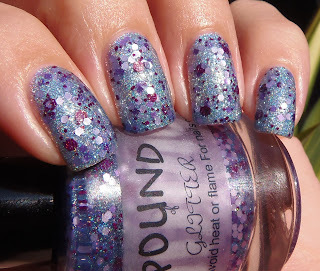 At the same time I wanted it to have lots of different purple glitters. The result exceeded my expectations. I e-mailed her again this weekend asking if it was ok to post my custom and let my readers know that they can order their own customs as well :) She also makes some awesome nail polish jewelry, like these cute earrings (OMG) so please do check it out. 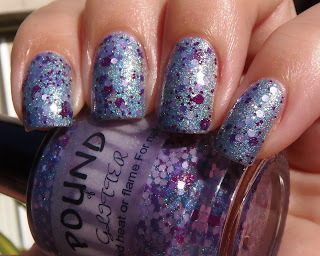 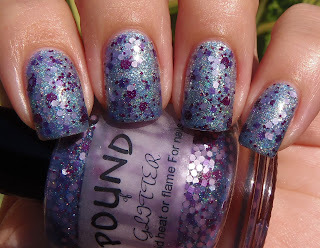 Lastly, I hope you guys didn't miss yesterday's post, it was Pound Of Glitter's newest collection.